Can’t wait to see the faces on these two cheeky chappies. More cats! It’s looking brilliant. 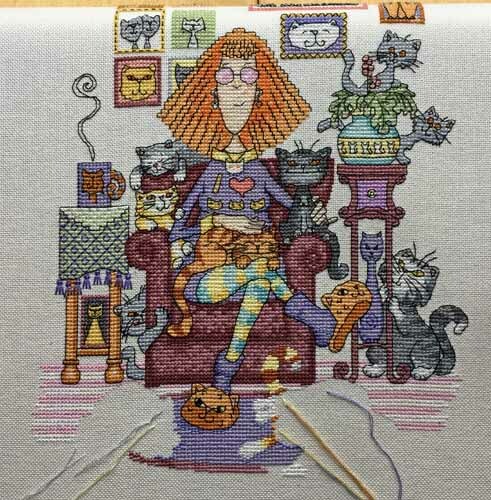 I love the crazy cat Lady! 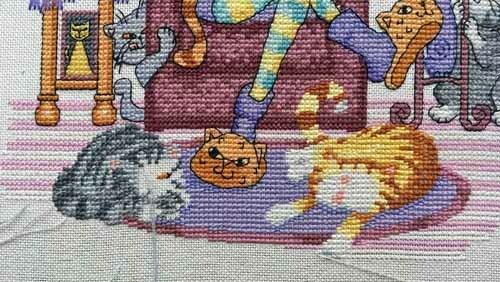 Love that big ginger tom on the rug! Can’t wait to see his face. So close to a happy dance!!! Love those kitties! Just how many are on this picture! Wonderful progress , fingers crossed for a happy dance ! Looks so good! Cheering you on for a happy dance next time! So cute. You are close to a finish! I can’t wait to see these two faces, every one has been such a perfect cat face, will these be sweet or naughty?! 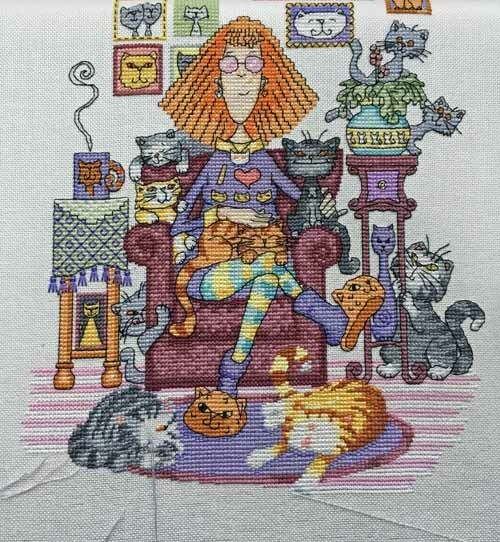 goodness me, how many cats does this woman have? I love the Ginger one, flaked out on the rug! Wait till you see Ginger’s face. He’s priceless! Looking fantastic, is the end in sight soon?